U.S. based woman owned technology manufacturing company located in Scottsdale, Arizona, where they have got a 60,000 square foot multi-facility campus located in Scottsdale Airpark. The company was established in 1968 and they celebrate their 50th anniversary in 2018. Their team of engineering provide force measurement solutions to various industries the including the test and measurement industries, aerospace, automotive, energy, factory automation, automotive and medical. Interface products can measure from grams to hundreds of tons and various shapes and physical sizes. By closely monitoring the entire process in Interfaces own facilities from design, machining, strain gauge manufacturing and assembly they can ensure the highest degree of performance possible. Who is Action Instruments relationship to Interface? 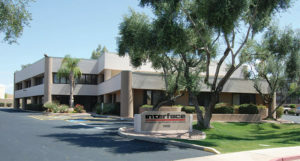 We have been the distributor and importer of Interface in Southern Africa for quite some time. Using a network of close partnerships we spread the word of Interfaces and their high quality range of products. Interface Products are arguable the world’s best instrumentation for force and torque measurement. Their Gold Standard™ and Platinum Standard™ Load Cells, used with Interface Calibration Systems provide some of the highest accuracy in the industry. They have load cell in many shapes, sizes and capacities which will provide reliable high quality measurements for any application. 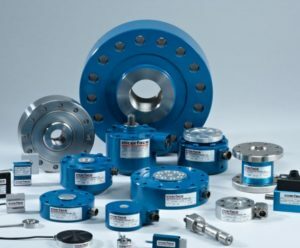 They offer a wide range of torque transducer products that can be used as calibration standards or to provide everyday measurements for a production measurements and product testing. Interface have developed a Wireless Telemetry System with sensor Transmitters, Receivers, & Displays. High accuracy, high quality measurement is interfaced with simple yet powerful configuration and monitoring software. The WTS gives sensor manufacturers and integrators the complete flexibility to build their own sensor modules around it. The system easily replaces wired systems, reducing installation and maintenance costs.